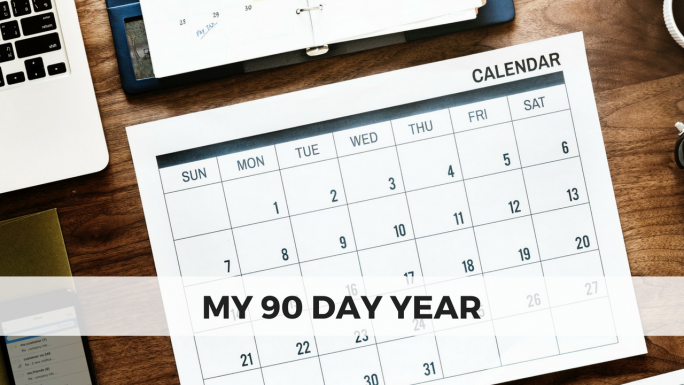 As I mentioned in a recent newsletter, I spent the first quarter of 2018 participating in Todd Herman’s 90 Day Year* program. Todd, who has a background in sports psychology, helps driven business owners perform at a higher level and dramatically grow their business. Although I had been familiar with Todd’s work for a while at that point, I hadn’t taken the leap to join his program. So what changed my mind? Financially, 2017 was a successful year, but when it came to work-life balance and overall well-being, I was miserable. I was spending way more time in my business than I should and I wasn’t spending any time working on my business. I had ideas about programs to launch, ways to grow our audience, and ways to systematize and improve our processes, but I wasn’t putting those ideas into action. I needed to make a change and re-focus. The 90 Day Year was exactly what I needed. Since Todd only opens registration twice a year and one of those times is happening right now*, I wanted to take today to share my three biggest takeaways from participating in the 90 Day Year program. All the tasks on our to-do list will fall into one of these four categories. If you were to look at this graph, which activities would you prioritize? I predict most of you would start in the “urgent and important” quadrant, right? 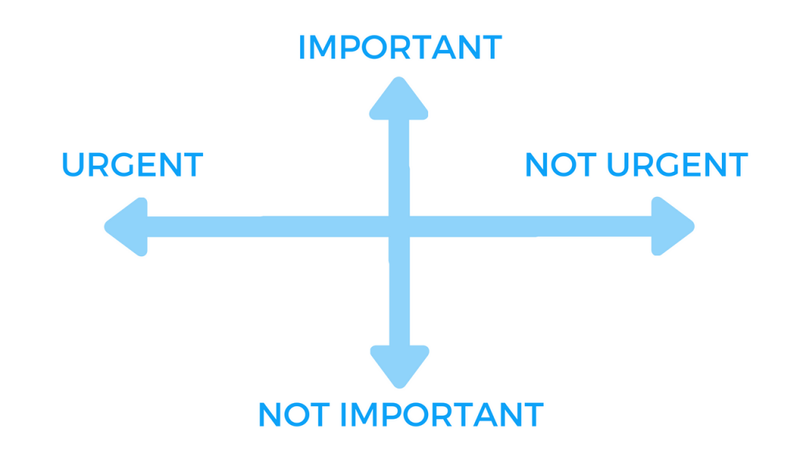 Then, we work our way around counter clockwise, moving towards the “urgent and non-important” and only ending in the “non-urgent and important.” Instead, Todd advocates for starting in the “non-urgent and important” quadrant. This ensures that you don’t put off the activities that will really push your business forward just because you don’t have a looming deadline. It also prevents those activities from becoming urgent in the future. I consider myself a high performer and very productive, but this was the first time I thought about prioritization in this way, and I quickly realized that this was why those top-level projects were never getting done. I would sit down at my computer, crank out all the urgent stuff first, and then seldom have time at the end for things that were important, but not so urgent. Once I started prioritizing all the important activities first, I saw dramatic improvement in my business. I’ve always tracked my time, but Todd’s entrepreneur scorecard took a different approach to this as well. Rather than “billing” my time at the same rate for everything, he gives different values for different tasks and shows you how to integrate that into your time-billing budget so that you can separately identify how usefully you’ve spent that time. Menial jobs like filing and running errands are $10 activities. Serving clients, writing newsletters, and other online marketing endeavors are $100 tasks. Meeting with potential clients would be a $1,000 activity and meeting with bigger clients or potential partners could be $10,000 activities. So when I tracked my hours, rather than using one rate for everything, I calculated the value of my hours. This was a big eye opener, because when you’re working in your business, you’re not always bringing a lot of value to that business. You’re also missing out on opportunities to increase your revenue and grow your business. This isn’t to say that I never do any of the $10 tasks, but I focus the majority of my day on those higher value activities. Unlike other online courses where you buy a product and work through it on your own, the 90 Day Year is a hands-on group program. The whole cohort is working through the modules together, and those modules are accompanied by weekly coaching calls for participants to have their questions answered and receive feedback on their program. Todd also pairs up participants with an accountability partner to ensure you stay on track. My accountability partner and I have stayed in touch past the conclusion of the program and continue to meet on a bi-weekly basis. You have no idea how much this accountability helps to maintain focus and actually follow through on your plans. I’ve seen many people sign up for courses or programs and never actually participate, but the 90 Day Year is set up for all participants to succeed. As a motivated entrepreneur and aspiring leader, you know that it can be difficult, sometimes impossible, to do it all. It’s a struggle to strike a balance between doing the work at hand and advancing your career. It’s too easy to lose sight of long term goals and get stuck in the weeds. 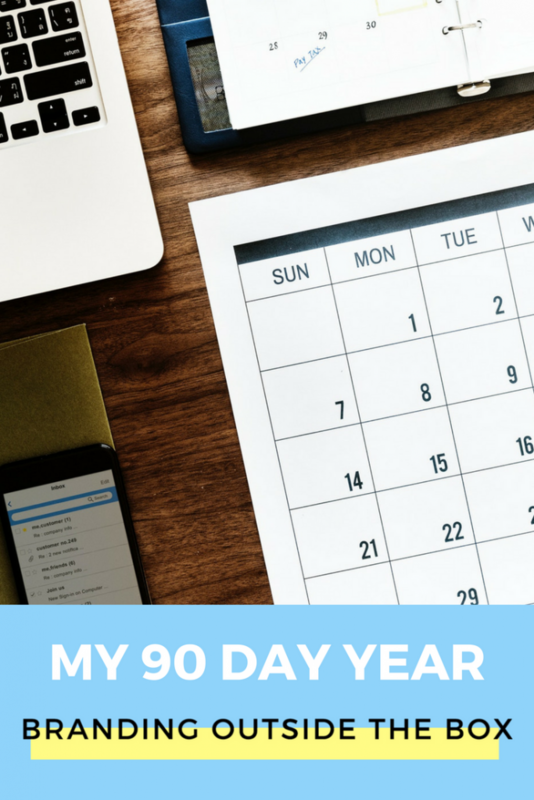 The 90 Day Year helped me overcome this struggle, and I’m confident it will do the same for you. Registration closes THIS FRIDAY (June 15th) so don’t miss your chance to take the reins back in your business. As a bonus, if you sign up through the links in this blog post*, I will be YOUR personal accountability partner. I’ll check in with you once a week to ensure you’re working towards your goals and answer any questions you’re having about the program. *Indicates an affiliate link. When you sign up through the link, I receive a commission, at no cost to you. I only recommend products and services that I’ve used and can honestly recommend. Reputation is everything, and I wouldn’t risk mine for a few bucks!